One of the most widely used to-do list / task list apps on Google Play, Todoist, got a major update this week, receiving a complete “re-envisioning” from its developers. Not only is the look different across the board, they have introduced a collaboration mode, which will allow you and friends to work on the same list of tasks or projects. While viewing your lists, you can send a simple invite to friends that also have the app installed, which is easy since the app is across 13 different platforms and devices. The collaboration mode is all real-time, much like users see on Google Drive. If you were looking for a replacement, this service would be a good choice. As with any re-envisioning, you can also expect a new user interface, one that now features “visual scheduling.” Yup, this is a fancy update. Go grab it from the Google Play link below. 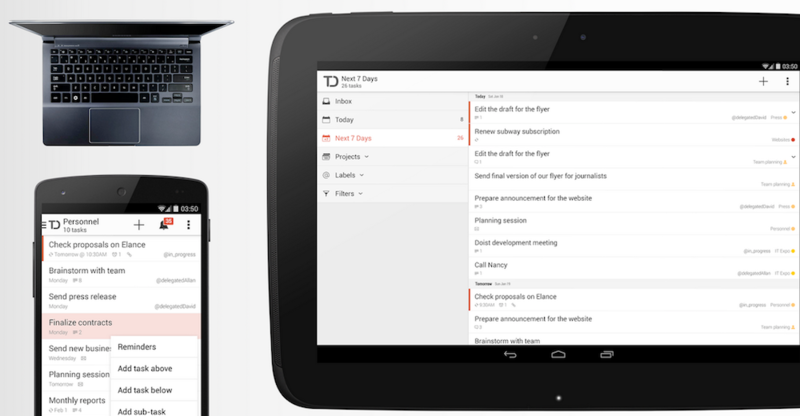 Todoist has been totally re-envisioned!